Human Development is the study of how humans grow and develop through the various ages and stages of life. This is one area of the human or social sciences that some people may choose to study. Earning a degree in Human Development often leads to higher degrees in Psychology, Social Work, or even Education and Anthropology. Human Development has developed with the knowledge of humans. As more and more theories are created and tested, so is the actual field. This is a field that will grow and change over time as more is learned about human nature and development. Those with degrees in Human Development are likely to go into teaching, social work, women's studies, counseling, or other forms of social work. This is a degree at the Bachelor's level that can easily lead to further study at the Master's or Doctoral level. This is considered a liberal arts degree. How Do I Know If a Bachelor's Degree in Human Development Is Right for Me? Human Development is a highly diverse field that can be easily paired with a second major if desired. If you are the type of person that wants to study human behavior or help alter it through teaching or a helping profession such as social work or counseling, then human development may be ideal. Human Development is also a good basis for those who wish to study the past or a specific population such as women's studies. If you are considering a degree in Human Development then some requirements are typical across colleges and universities. Requirements will vary among colleges and universities. Most schools will require an application with a small fee. Additionally, the majority of schools require an ACT or SAT score at a certain level. However, if your score is lower than the cutoff there is still a chance of acceptance with additional classes. Sometimes, a letter of recommendation is also required. Copies of all high school transcripts are a must have to show grades and proof of graduation. Some colleges may have additional requirements for the human development program, but these are the basics. Most Bachelor's degrees can be earned in three to five years. This includes the classes required for both the major in Human Development and basic classes required for all students. If adding an additional major, students can expect at least five years of college courses. This is the equivalent of eight to ten semesters. Deciding to earn a college degree comes with concerns about how to pay for such an endeavor. Many colleges and universities require that every student fill out a FAFSA form. This form can help located loans, grants, and on campus work opportunities. Other scholarships and private grants also exist if a student is willing to take time to search online or meet with a guidance counselor. Each of these methods can help pay for tuition and expenses. The typical range of cost for a Bachelor's degree is between $10,000 and $33,000 per year for each student. While this range covers tuition and fees for both private and public colleges as well as in state and out of state students, it does not include additional costs such as books and supplies. What Type of Courses Will I Need for a Bachelor's Degree in Human Development? This course examines distinctive modes of inquiry that include both quantitative and qualitative forms. Through research skills, students will delve into the affect of society on human and psychological development. This class examines cultural traditions and ideas that have influenced growth and development over time. This class also looks at often overlooked minorities such as women and non-Western peoples. This class examines issues that influence contemporary life beyond the US. Students will learn to evaluate and interpret controversial issues from across the globe and learn how such issues impact human development. This class will focus on childhood growth and development through adolescence. Students will learn to identify different stages and ages for development. Students will understand how development occurs within each stage. Students will investigate careers in the human services cluster. The Principles of Human Services class focuses on the family as a unit and how human service organizations may be of help and assistance to families at different points. How Do I Know If a Master's Degree in Human Development Is Right for Me? Those who choose to earn a Master's degree in Human Development are likely to already have a Bachelor's in a liberal arts field. Those who move to the Master's level are typically interested in a field such as Psychology or Education that may require a higher degree. Earning a Master's degree typically means a higher pay scale in most fields. Most Master's degree programs require the same basic items, but each program can vary between and among colleges and universities. The majority of schools will require a GRE score at a set level. All schools will require transcripts and GPA levels obtained from all previous classes at the Bachelor level. Many schools have a GPA requirement prior to admittance. An application with fees and letters of recommendation are also typical requirements. If entering an education program, some may require extra classes and observations to gain teaching certification, but this can vary by program. A Master's level degree in Human Development can vary based on what specialty is chosen, but typically averages 2 years of eight semesters. If taken online, courses may be shorter and take less time overall, but fewer classes can be taken at once. Paying for a Master's degree can be tough. Filling out a FAFSA form is one way in which you may find funding, but there are also online resources for scholarships and grants for various programs and people. The cost a Master's degree tends to range from $30,000 to $120,000 for the entire program. As mentioned, this varies greatly between schools and based on the actual program chosen by the student. What Type of Courses Will I Need for a Master's Degree in Human Development? This advanced course regarding conflict resolution and mediation is designed for human service professionals as they will be required to understand the process of evaluating human conflict in order to work toward a resolution. Ethics and professionalism are also covered in this course. In this type class, students will assess psychosocial development stages for and with families with focus on customs, traditions, values, and beliefs. Students will learn how such factors affect human development. This type class helps students learn to assess and critic through writing and sharing of their own stories. Students will learn how to bring their stories to life as a form of psychological communication. This class focuses on early childhood education with various cultures and traditions playing a part in education. The early childhood classroom can be diverse in both ability and cultural areas. This class focuses on different phases within the lifespan of human development. There are new issues that affect each stage of life that are discusses and explained in this class. The course is designed for those who aspire to work in integrated, cross-generational settings. Earning a Master's degree in Human Development can be time consuming. If you are earning a degree and trying to raise a family or working full time, this can truly be problematic. Online courses, even at the Master's level, may be a great alternative to the typical college setting. Online courses may be more intense, but often shorter while offering the same information. This is typically a good option for the busy professional. Read more below to see if online education is right for you. As many students choose online programs, it seems one of the biggest appeals is flexibility. Life comes with huge responsibilities outside of school. These obligations limit the amount of time and ability to attend classes. For that reason, many people choose online education. Since online classes do not require physical attendance in a classroom, students can create their own schedules to fit their busy lives. Students can learn and complete assignments when it is most convenient for them. 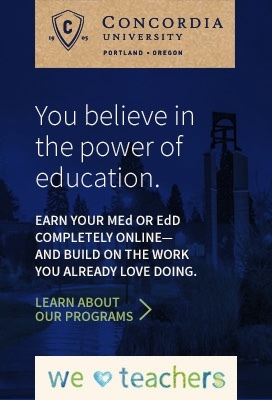 Since all you need is a computer and internet connection, online programs allot students to partake in programs regardless of their geographic location. With that said, you do not need to pick a school based on location since a commute will not be required. Online education also opens up opportunities to students with accessibility restraints. If you are a self-starter, online education may be right for you. Since online classes may be more intense than their traditional counterparts, motivation will be required to stay on task. Being organized and able to multi-task are also helpful characteristics when trying to find success in online classes. How Do I Know If a Doctorate in Human Development Is Right for Me? Earning a Doctoral degree in Human Development means you have taken the degree to the highest level and will be the most qualified for teaching in the area or working within the field, as far as educational experience. Additionally, earning a Doctoral degree typically means a pay increase across the majority of human development fields. The requirements for such a degree are listed below. Most Doctoral programs will require some basic information from the potential candidate. However, each program will have specific requirements that must be met. One requirement will be a GRE score. The level is set by the program so this will vary. A personal statement and letters of recommendation are also common requests. Copies of transcripts from all previous college classes to show GPA will also be required. If in a teaching field, a teaching license will often be required, but not for all human development fields. A Doctorate in Human Development usually takes between 3 and 4 years overall. At least one semester will be dedicated to the dissertation. This translates into 6 to 8 semesters overall for most doctoral programs in human development. As with any degree a Doctorate of Human Development can be a costly endeavor. Filling out a FAFSA form can be a first step to gaining access to loans or other programs that could help cover some of the cost. Additionally, numerous grants and scholarships are available through public and private organizations that may offer some financial help. For those that attend a doctoral program the expected cost can range from$11,000 to $23,000 yearly. This range includes public and private colleges and universities. What Type of Courses Will I Need for a Doctorate Degree in Human Development? This type class prepares students to use both basic and higher level statistics to aid research. Students are introduced to the key ideas underlying statistical and quantitative reasoning. This course will acquaint students with policies, programs, and projects that may apply to their current or future career. Evaluation techniques to assess these programs will also be taught. This course focuses on cognitive processes at every age and stage, from birth to old age. The brain is an amazing thing and each age group can process at different levels. This course will help you understand and work with different human developmental levels. Research is a major part of a doctoral program, especially when writing the thesis. Students will learn how to apply multivariate statistics to different variable sets in this course. In a course regarding research and qualitative modes of inquiry, students will learn and practice qualitative research techniques as it applies to human development and specific topic within in that realm. Pursuing a doctoral degree can be highly time consuming. Counting in a commute can add even more time away from work, family, and friends. This makes earning a degree online a promising prospect. While there are not as many online doctoral programs as other programs, they are available. Finding an accredited program is as simple as a web search for Human Development programs. The online option allows for further flexibility in both start times and class work times. Read more on online education to see if it is right for you. When factoring in time, commute, parking, meals, and housing, online degree programs can be more cost effective than their traditional counterparts. However, not all online degree programs are cheaper than brick and mortar institutions, so make sure to do your research. Online programs might be right for you if you still need to maintain a source of income. Since schooling can be completed on your own pace and schedule, you will not need to sacrifice your career. Online schooling often offers short programs. In other words, you may be able to earn an online degree in less time than it would take for you to complete one the traditional way. Since many classes are offered online and you will not be required to attend physical classes, you may be able to get more done in less time. A degree in Human Development can lead to a number of careers in various fields. Below a few of those careers are described. Those with a degree in human development may pursue teaching careers. If you wish to work in a private school, you may not be required to partake in additional training. However, those who aspire to work in a public educational setting must go on to receiving certification through a state approved teacher preparation program. With a Bachelor's degree in Human Development you have the option to work in Crisis Center. Crisis Center staff may be in charge of answering phones and dealing with walk in patients who are in immediate crisis. This may include making referrals to other agencies for help. Crisis workers tend to have a high turnover rate so jobs are often open. Salary averages for such workers average about $36,000 yearly. Help bring families together with children and resources as an adoption agency official. This can be accomplished through private or public (social work) organizations. These jobs are often open in the public sector and salaries average about $42,000 yearly. This is an area of higher than average growth. A Master's degree or higher is often required. A speech therapist works with children and adults of all ages to work with speech or swallowing issues. Speech therapists are required to have a minimum of a Master's degree. Speech therapists average between $45,000 and $111,000 yearly depending on case load and experience level. Speech therapists are often needed in both schools and the health care field. A psychologist works with individual patients and groups to deal with psychological issues. The need for psychologists is growing at an average rate when compared to other professions. However, a doctorate degree is required for this field. The average salary for a psychologist is about $73,000 yearly. Getting involved in professional organizations within the field of human development is a wonderful way to continuously grow and develop. These organizations or associations bring together individuals who are on the same career path and allow them to collaborate. The Society for the Study of Human Development, for example, is a scientific society dedicated toward research and applications for policies and programs regarding human development. They host conferences and webinars, as well as give members access to journals and other resources.